Sorry for getting a little excited there. As I write this, Clemson is beating last year’s Champs Auburn 35-24 and I WISH I was in Death Valley right now. But, I’m not. I’m in Jersey City. Had a little scare this morning, searched for the Clemson game on TV and couldn’t find it. Not on ESPN, not on Fox Sports, not on BTN. I was in the middle of chastising New York television and telling my husband we need to move to South Carolina asap… when I found it… on ABC!! Glory be. Anyways, a snack was then in order since we won’t be leaving the house until the last second on the play clock. Preheat oven to 350. Spray oil on a baking sheet. Lay tortillas on baking sheet. Bake 15 to 20 minutes rotate baking sheet 1/2 way through cooking. 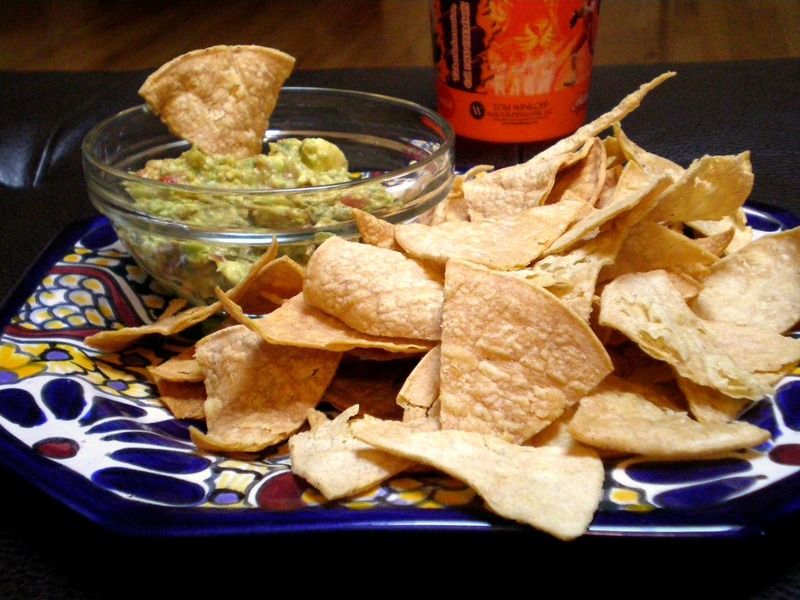 Remove from oven, place chips in a large bowl and toss with Salt and Cumin. De-pit avocado and lightly mash with a fork in a bowl.